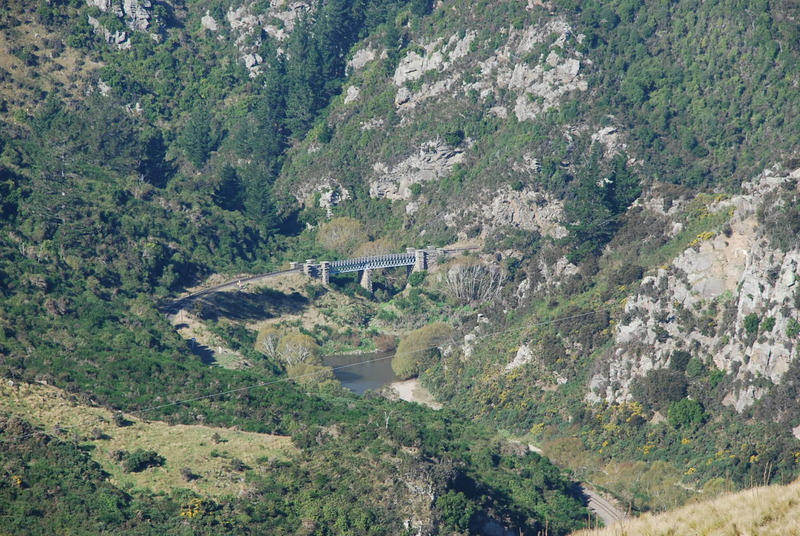 The drive into the gorge was beautiful and from the road, at various vantage points, you can see three bridges and a tunnel along the railway line. 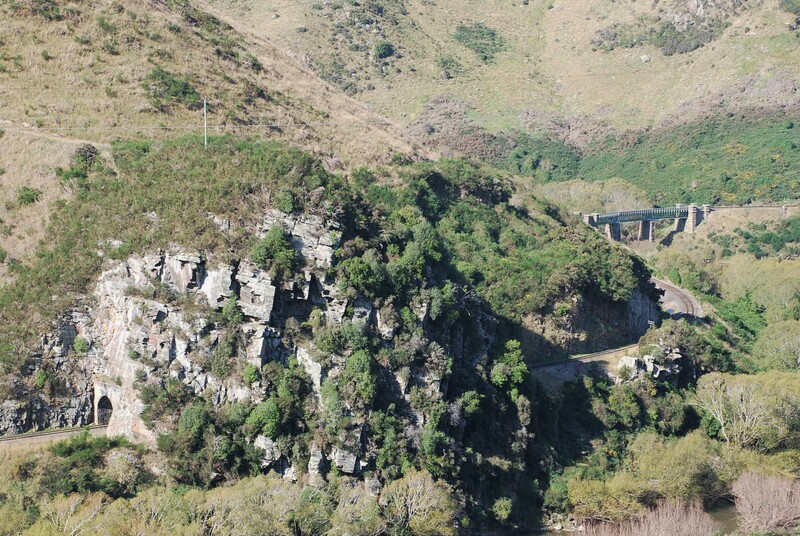 Part of the Taieri Gorge Railway which is popular with tourists and locals, the railway remains in the Taieri Gorge for 25 km, crossing 16 major bridges and passing through 10 tunnels. 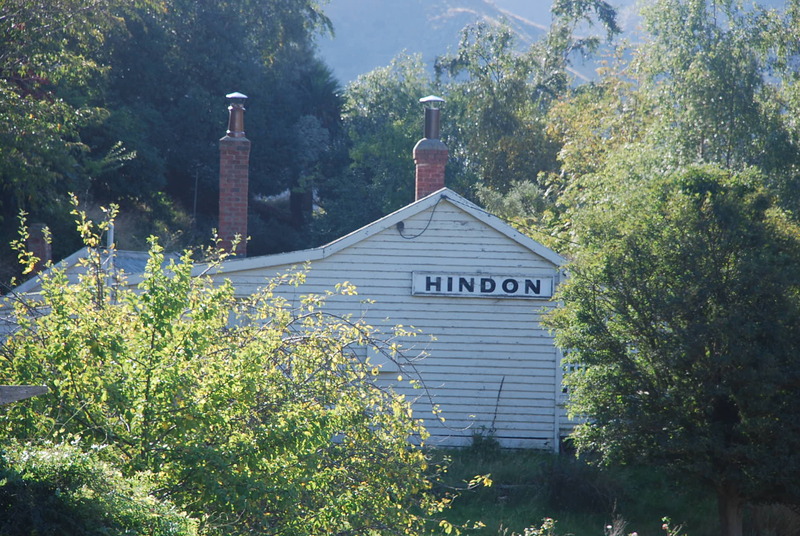 Just before Hindon station, the railway tracks share a combined road-rail bridge with Hindon Road, a local back road. 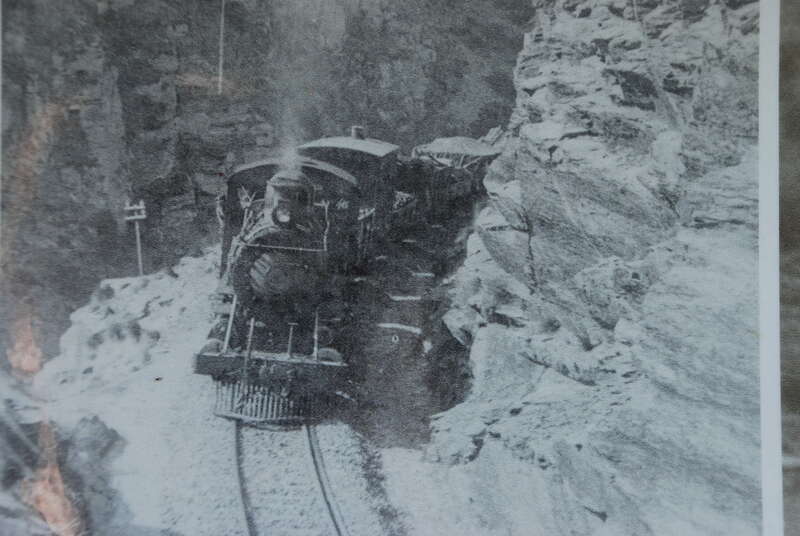 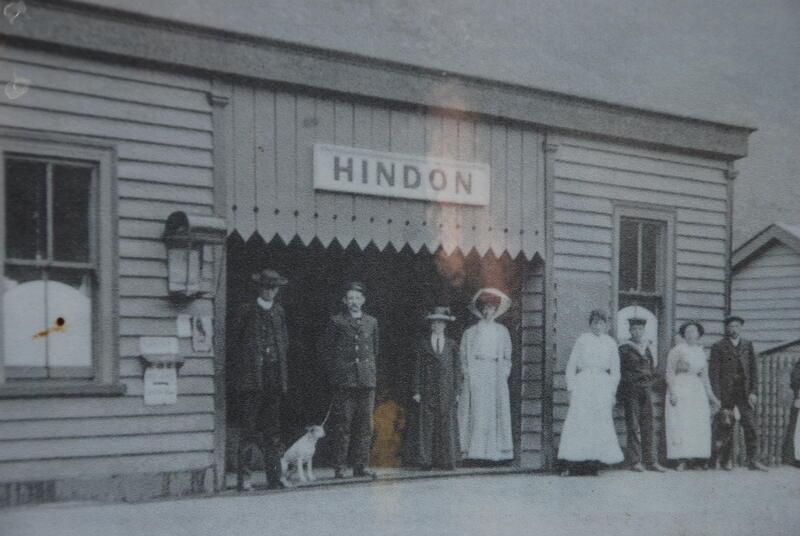 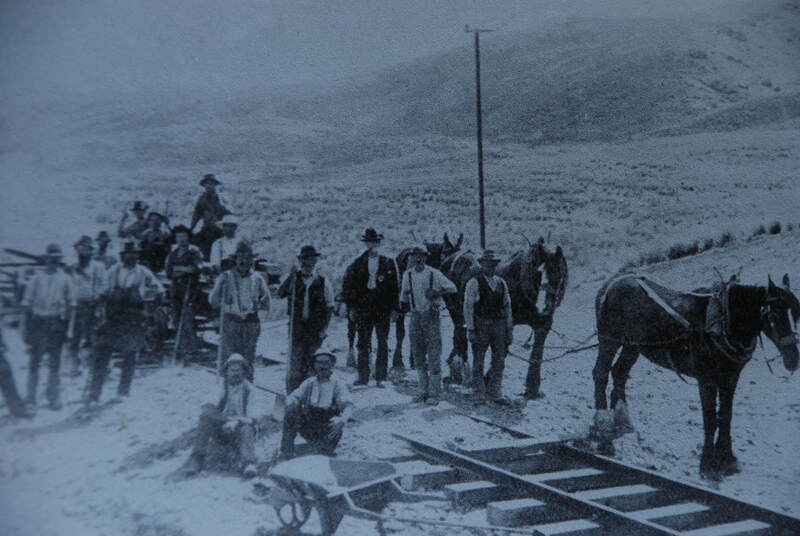 The Hindon section of the railway was completed in 1889, this was extremely difficult terrain with spurs and gullies which had to be overcome with tunnels and bridges. 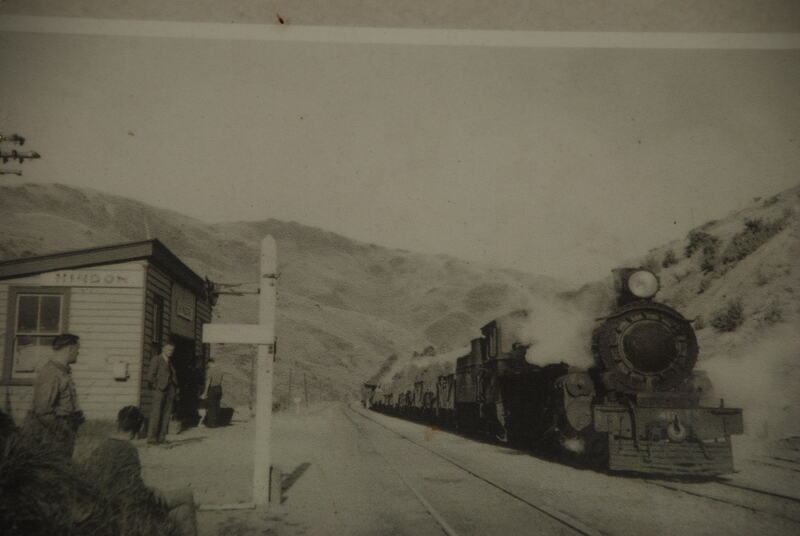 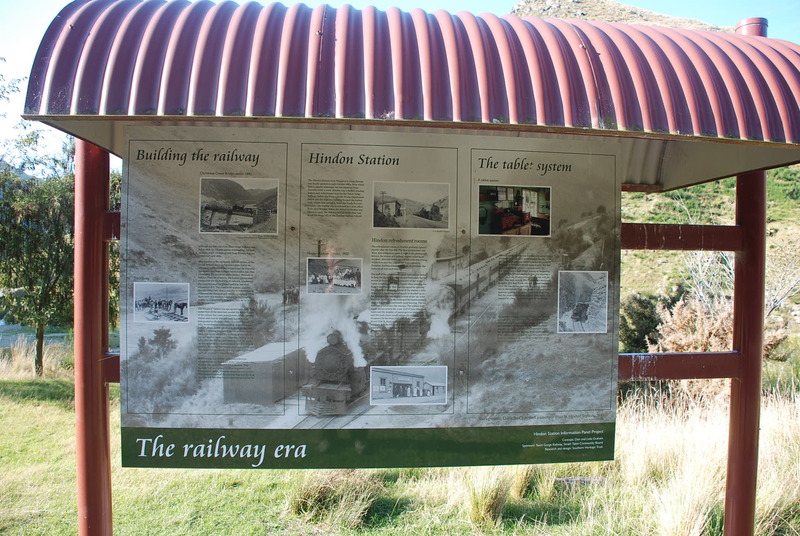 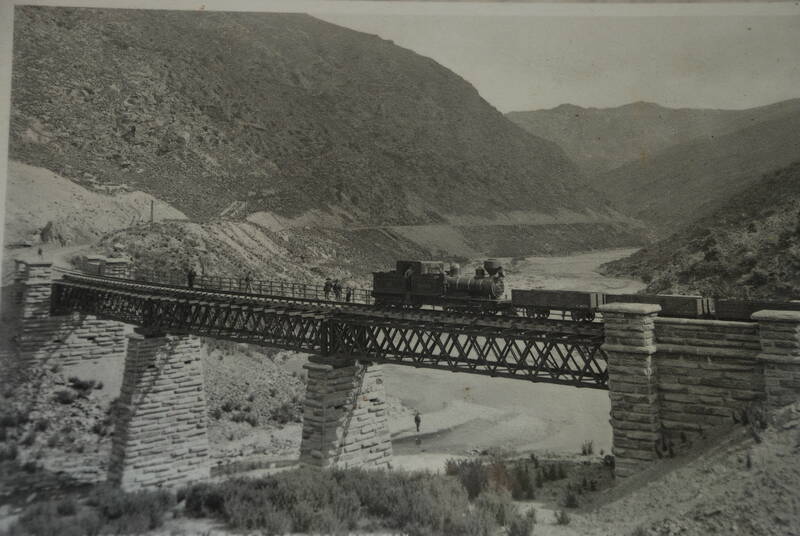 Work-camps and railway settlements were established along both sides of the Taieri Gorge, one of these was around the Hindon station, they typically had engineer’s office, carpenters and blacksmith’s shops and stables. 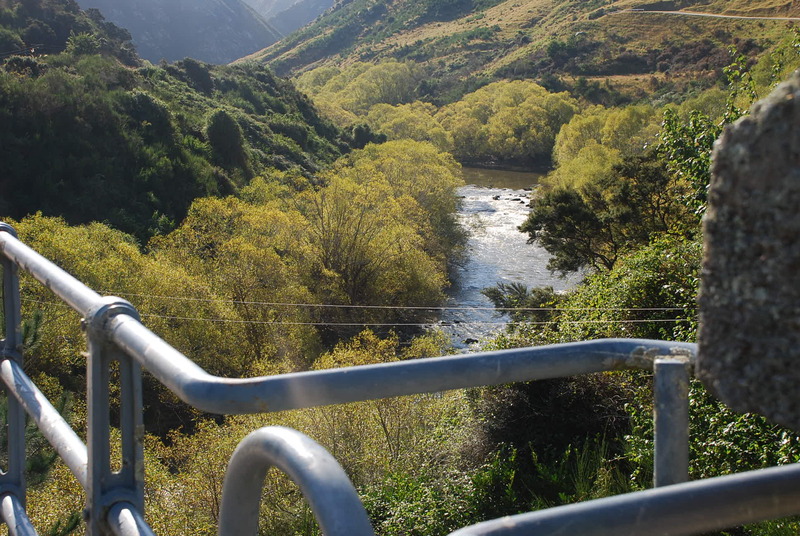 It’s so peaceful and quiet here now but you can imagine what a busy place it was. 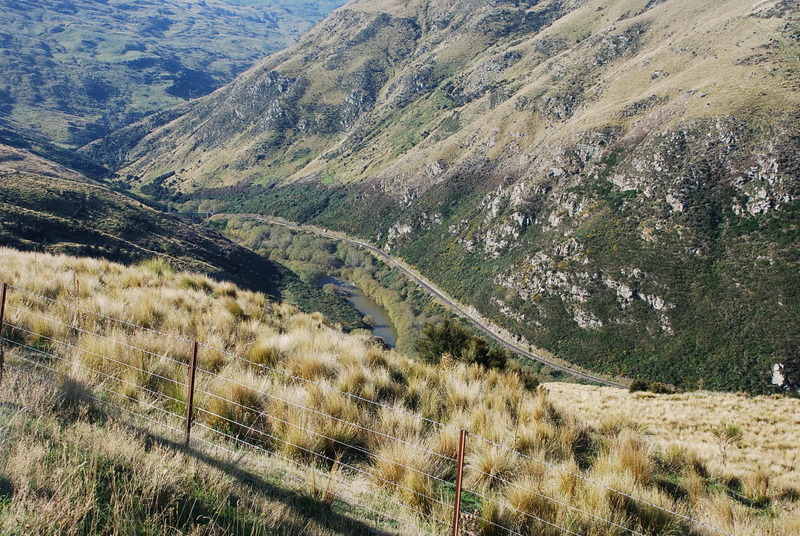 The first glimpse of the gorge and one of the bridges in the distance – just right of the centre of the photo above and a closer look below. 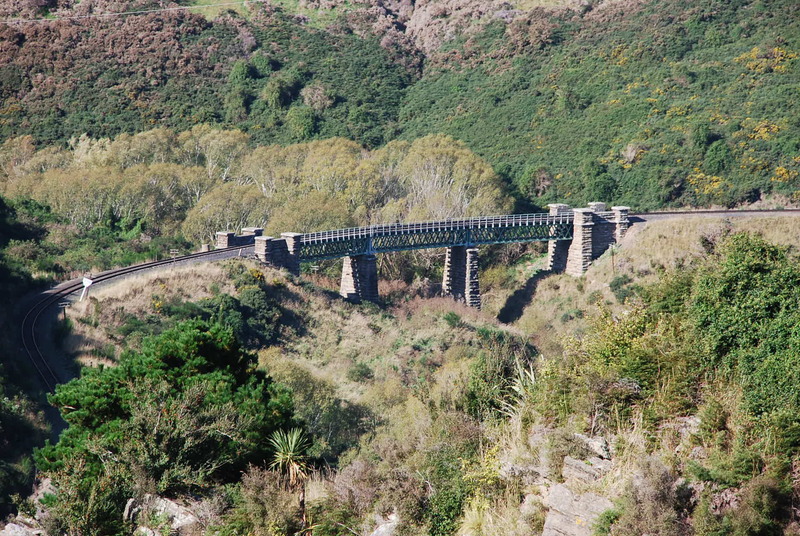 A view of one of the bridge as the road starts to descend into the gorge. 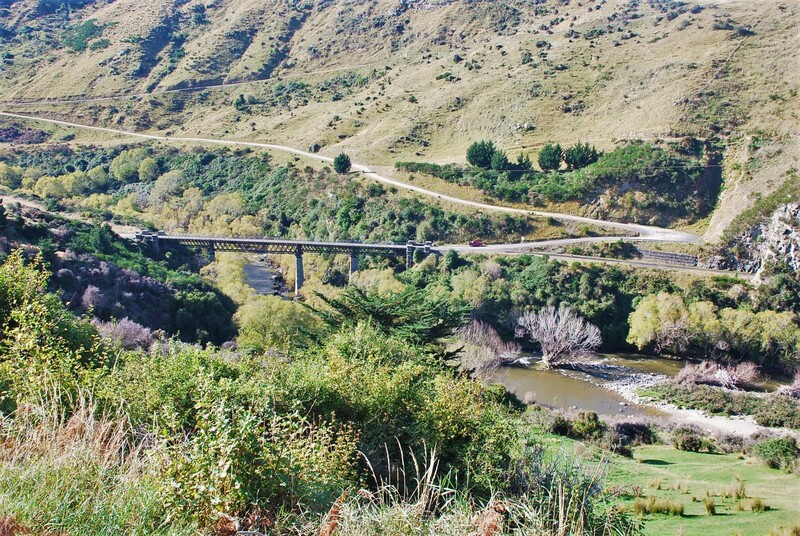 Beautiful scenery, the railway line can be seen on the right hand side of the photo. 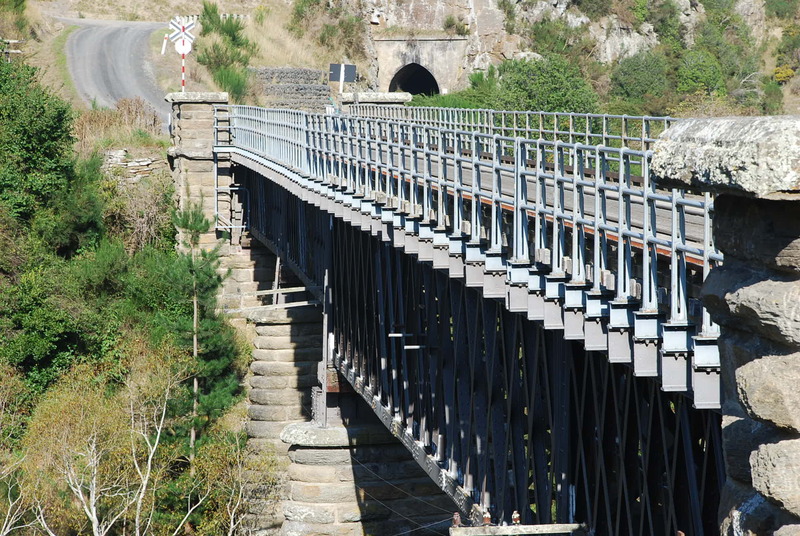 The combined road and rail bridge just before the Hindon railway station. 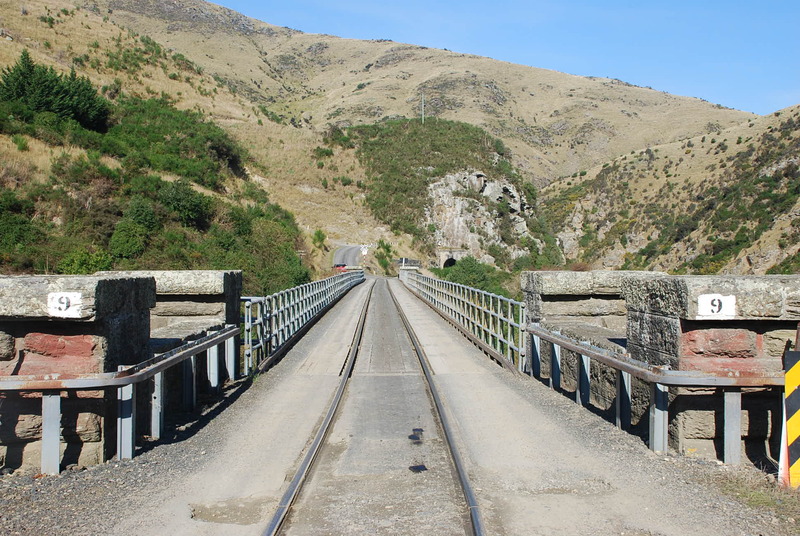 Machine Creek bridge and the tunnel on the left, we walked through the tunnel and round to the bridge. 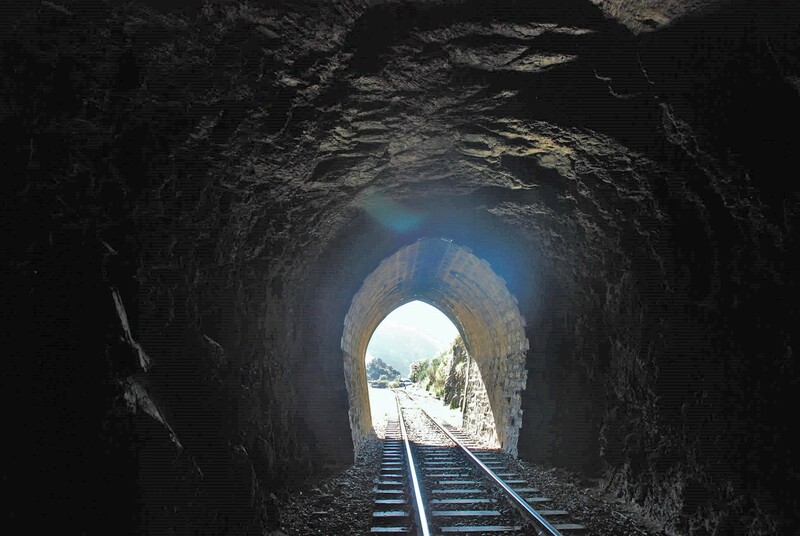 We walked through the tunnel and followed the track around to Machine Creek bridge. 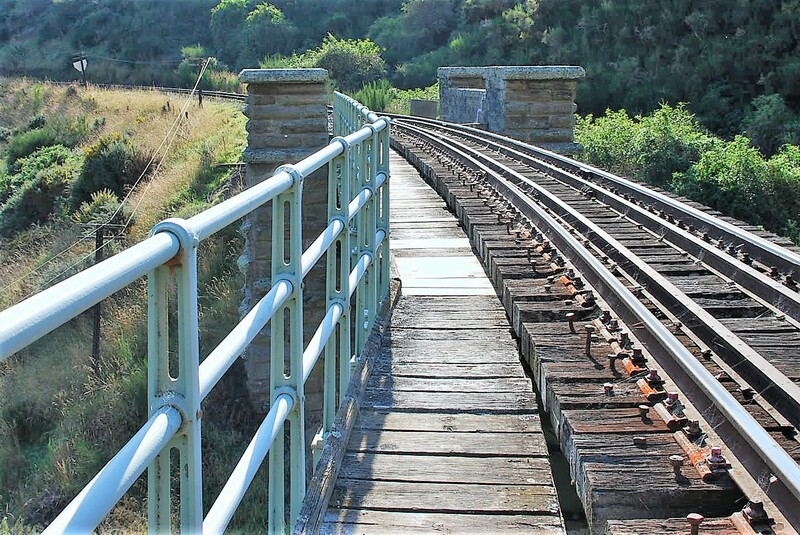 Not sure you are supposed to walk beside the track!! 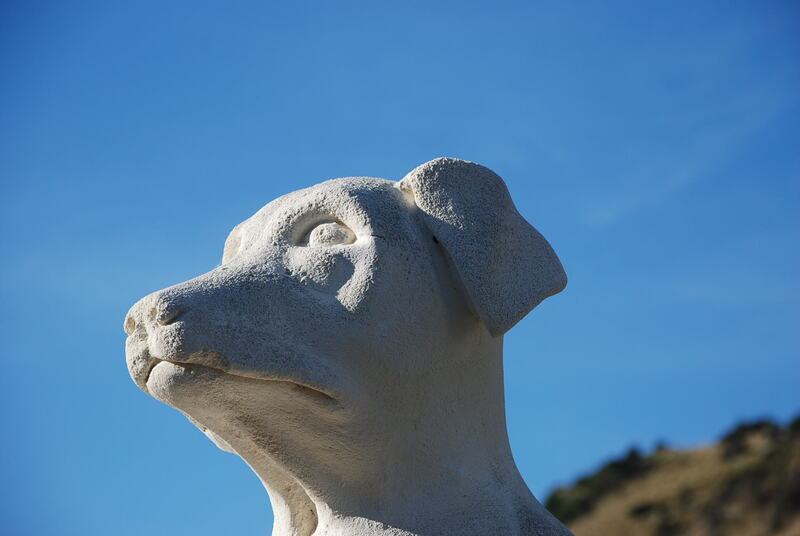 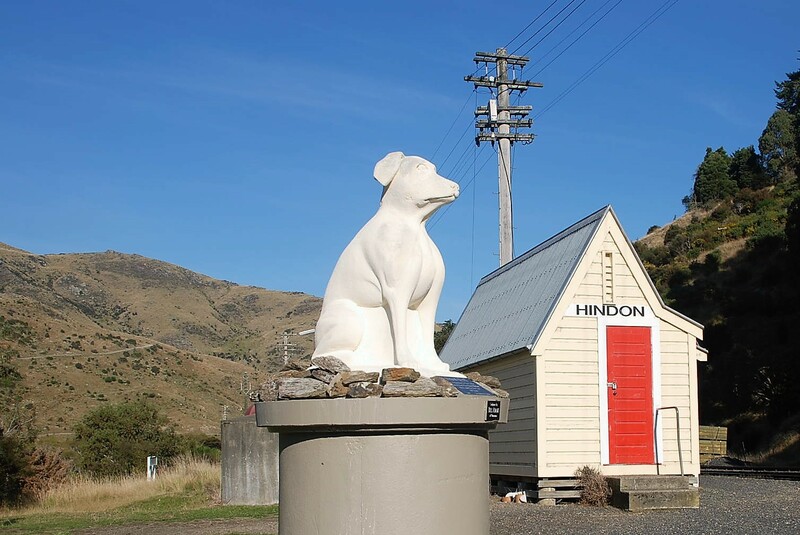 Susan (Sue) A dedication to the Collie Sheep dogs that have worked this land for the last 150 years. 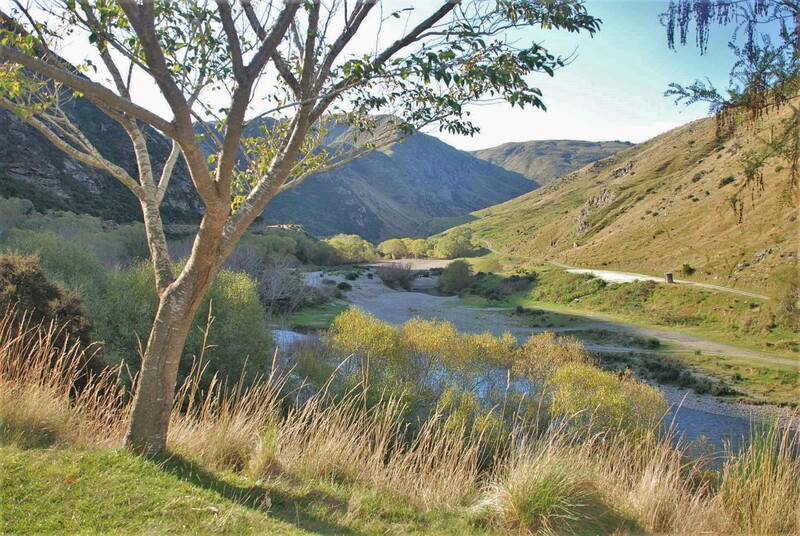 A beautiful autumn day, looking up the river but no dogs allowed at the river which was a pity they would have loved it!!! 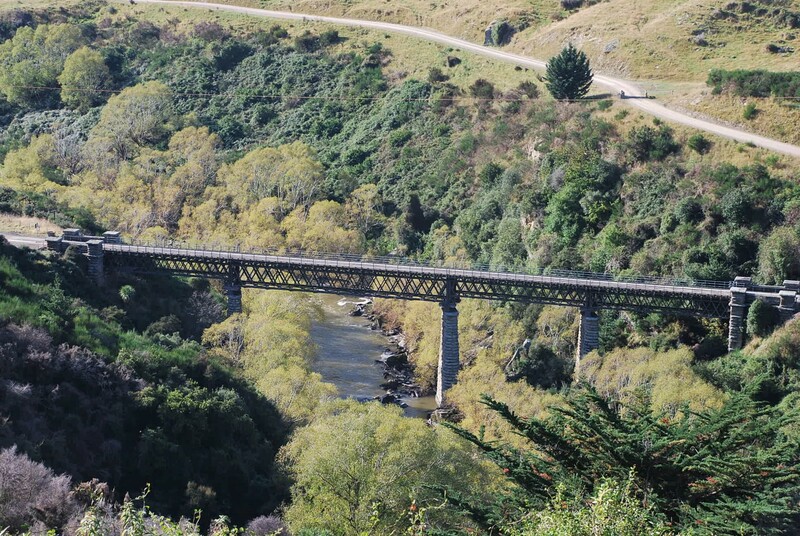 Machine Creek Bridge – Amazing engineering!! 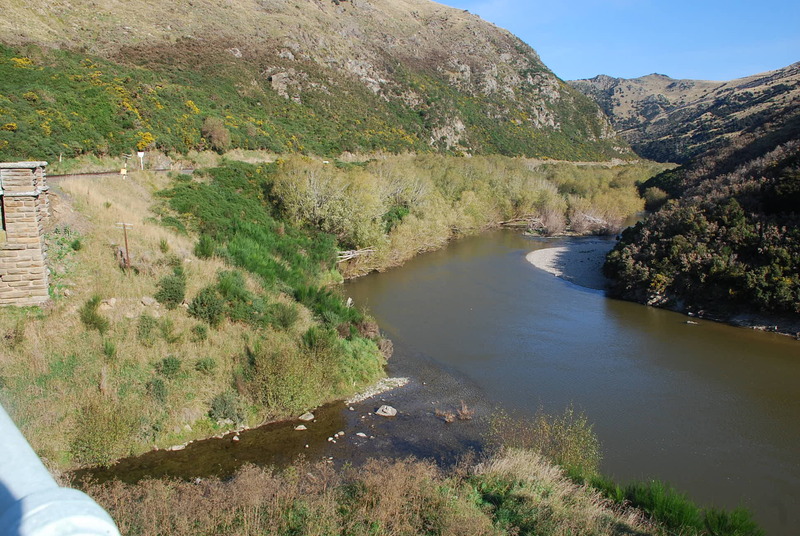 Machine Creek today – hasn’t changed much! 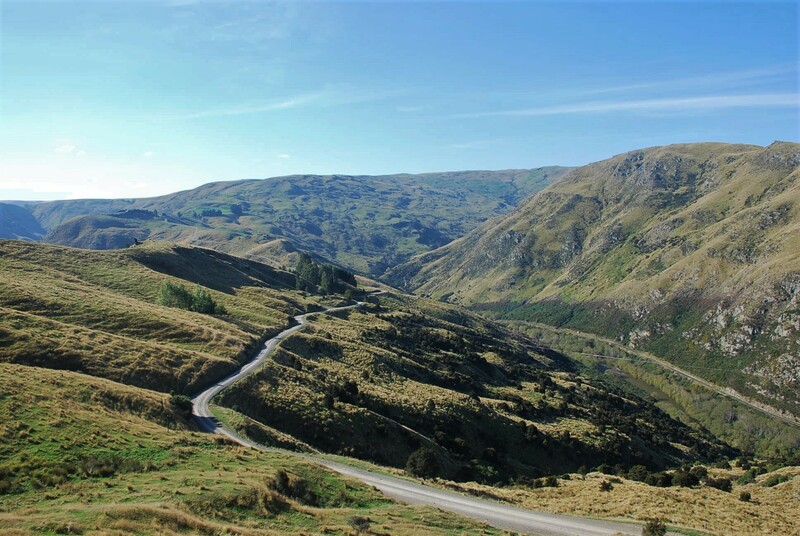 About a 50 minute drive from Dunedin follow the main highway a go either through Mosgiel or East Taieri towards Outram. 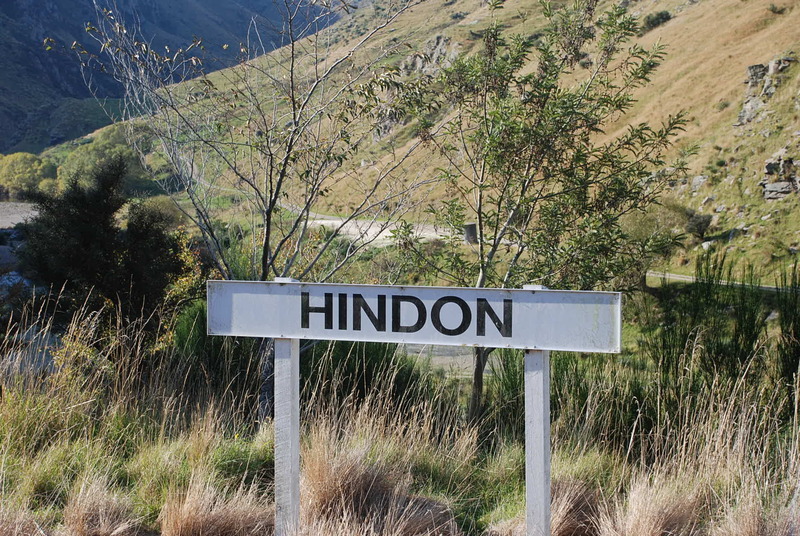 Turn right into George King memorial drive and follow the sign posts to Hindon. 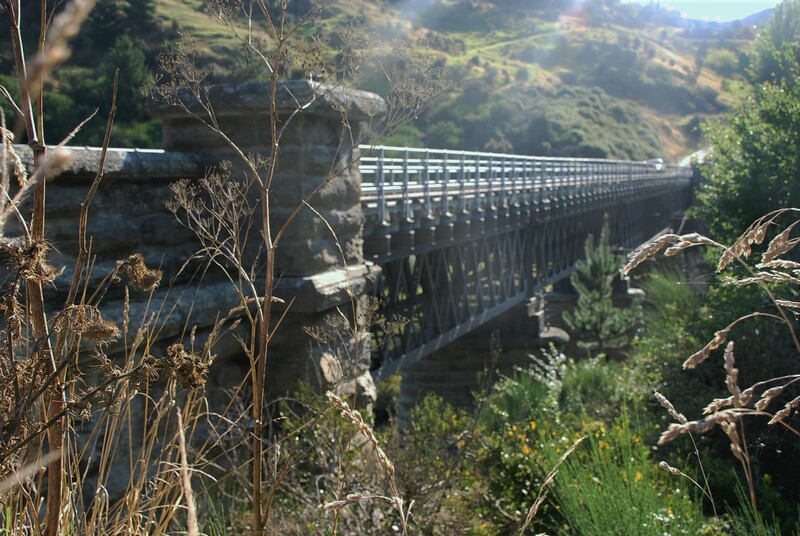 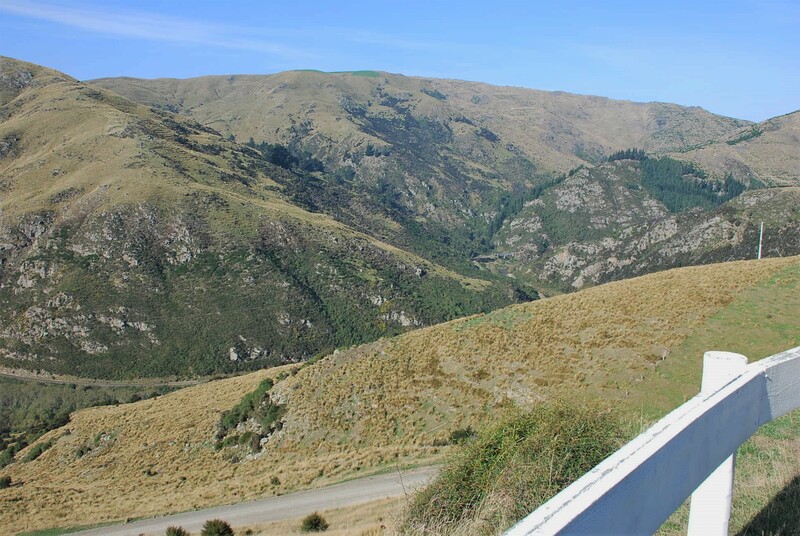 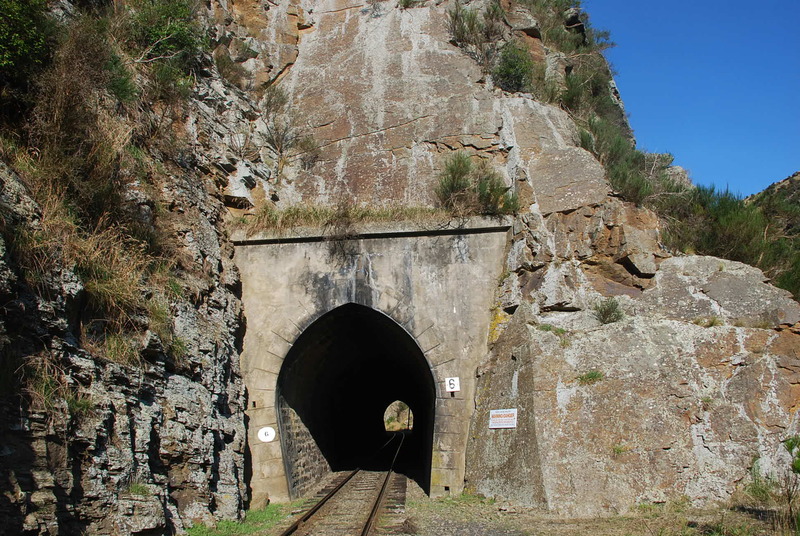 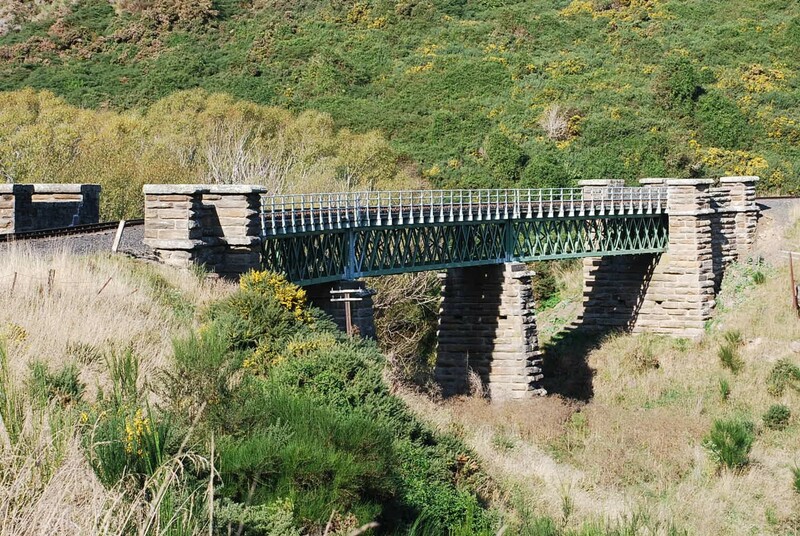 Coming events: As well as the usual train trips – check out the Dunedin railways website for details of the Taieri Gorge walk on Sunday 7th May. 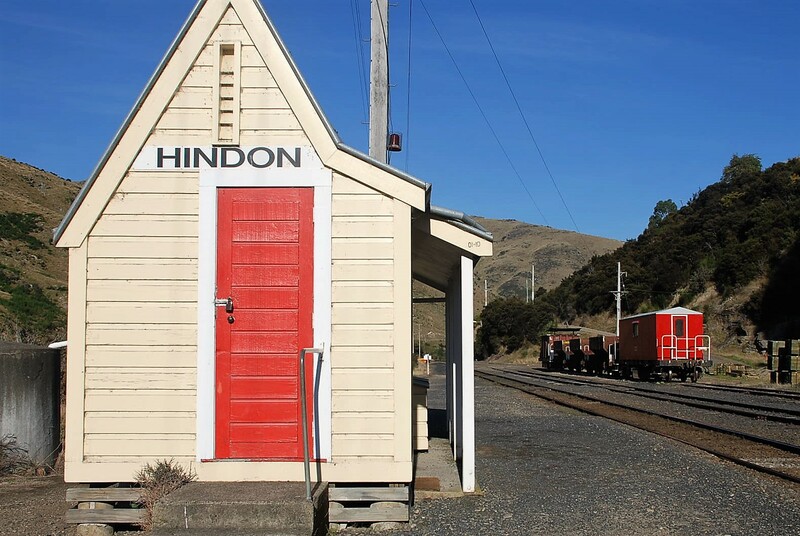 You can disembark and walk 8km (up to two hours), get picked up at Machine creek and taken to Hindon for a sausage sizzle lunch. 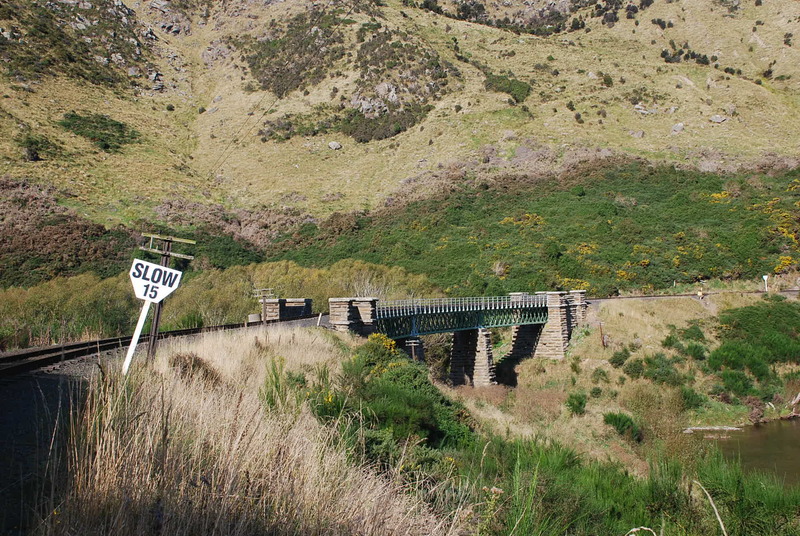 The lions run this event and proceeds go to charity.